JCA Youth and Family Education runs a number of fundraisers over the course of the year. Below are the details for each of the ways in which you can support the educational programs. All coffee beans are fairly traded, certified kosher, and certified organic unless otherwise noted. Coffee is available in one-pound or five-pound bags. Other products available: chocolate, hot cocoa mix, organic fair trade sugar, organic baking cocoa, and more. Click THIS LINK to fill out your order each month. View ITEM DESCRIPTIONS. To join the Dean’s Beans email list and receive notifications about the order deadline each month and when the order available to pick up at the JCA, email Ruby Schmerling, ruby.sc@gmail.com. Payment must be made by cash or check to the JCA office on or before pick-up. 4. 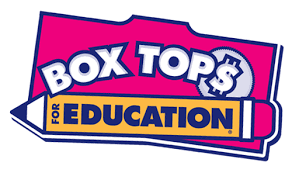 JCA Youth and Family Ed earns 10¢ per Box Top! AmazonSmile is a website operated by Amazon with the same products, prices, and shopping features as Amazon.com. When you use Amazon from THIS LINK, Amazon donates 0.5% of the purchase price to Jewish Community of Amherst. Shop Primary’s premium colorful basics for kids without logos, slogans or sequins while earning money for our school! The Primary School Giveback Program: Primary donates 10% of your order to JCA Youth & Family Education. You get 20% off of your first purchase, plus every order during school “spirit week” sales. To order, visit our SPECIAL URL. First time orders: use code JCA for an extra 20% off!